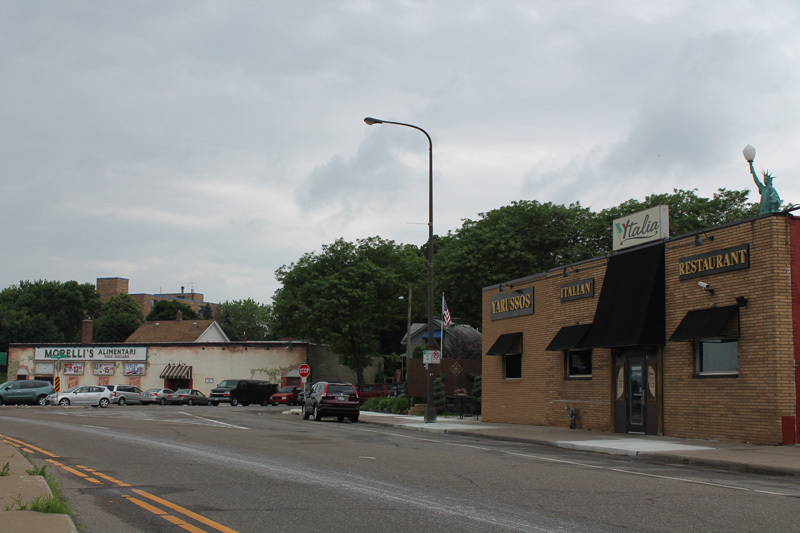 Morelli’s, located at 535 Tedesco Street on the northwest corner of Payne Avenue, has been in the Italian food business since 1915. James Morelli and his young wife recognized that the growing number of immigrants who lived in the area were eager to find a taste of home, so they began stocking pasta, polenta and olive oil and other items. Initially the Morelli family lived in Swede Hollow, joining many other Italian families who were filling in behind departing Scandinavians. According to the 1919 city directory the family was living above their store at 564 Bradley Street. By the 1930s the grocery had moved to its present location at 535 Collins Street, now named Tedesco. Matthew “Matt” Morelli, the next generation to take over the store, was born in Swede Hollow. As a youngster he worked at the grocery and would lug purchases from the family store down the stairs to deliver to the residents of the small settlement along Phalen Creek. The Italian specialty market was more than just a grocery store. It was a gathering place for the community and a place to go for help. If people had a problem, they could go upstairs to Matt’s office and he would assist newcomers to get jobs. After he had a stroke and had to rely on a wheelchair, he would still come to the store for a few hours a day. 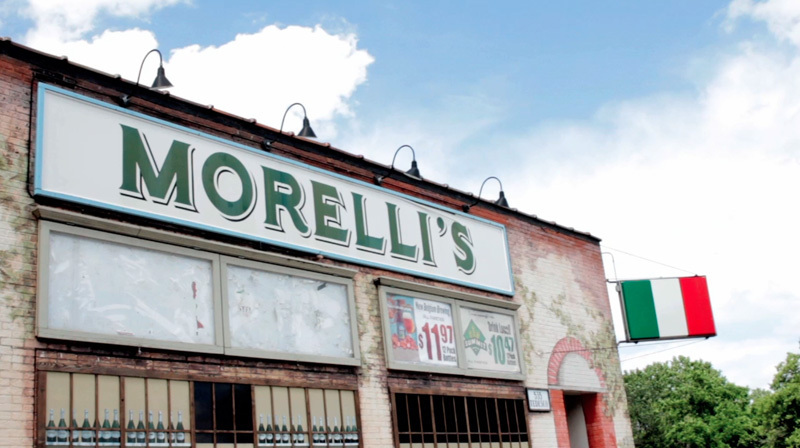 As times changed, Morelli’s Market began to sell fewer groceries and more wine and beer — much of it imported from the old country. But it still has food, because they were grandfathered in after liquor stores could no longer offer groceries in Minnesota. There is still a nice selection of pastas, sauces, fresh olives and an old fashioned meat department that includes a variety of Italian cheeses and sausages. 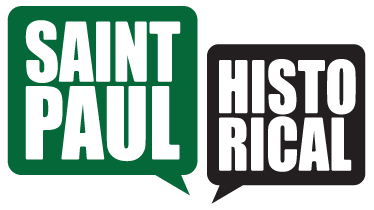 Steve Trimble, “Morelli's Alimentari,” Saint Paul Historical, accessed April 21, 2019, https://saintpaulhistorical.com/items/show/287.